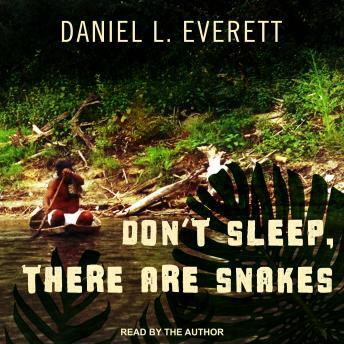 Daniel Everett, then a Christian missionary, arrived among the Pirahã in 1977-with his wife and three young children-intending to convert them. What he found was a language that defies all existing linguistic theories and reflects a way of life that evades contemporary understanding: The Pirahã have no counting system and no fixed terms for color. They have no concept of war or of personal property. They live entirely in the present. Everett became obsessed with their language and its cultural and linguistic implications, and with the remarkable contentment with which they live-so much so that he eventually lost his faith in the God he'd hoped to introduce to them. Over three decades, Everett spent a total of seven years among the Pirahã, and his account of this lasting sojourn is an engrossing exploration of language that questions modern linguistic theory. It is also an anthropological investigation, an adventure story, and a riveting memoir of a life profoundly affected by exposure to a different culture. Written with extraordinary acuity, sensitivity, and openness, it is fascinating from first to last, rich with unparalleled insight into the nature of language, thought, and life itself.